What does it mean to be a Catholic today? Doyle addresses this important question by examining key documents of the Second Vatican Council: Lumen Gentium (Dogmatic Constitution on the Church) and Gaudium et Spes (Pastoral Constitution on the Church in the Modern World). 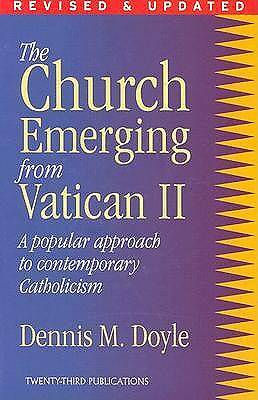 He offers an unusual blend of official Catholic teaching juxtaposed with positions of contemporary theologians that will both appeal to and enlighten students.